April is welcoming in several new trainings and courses. In the next week we’ll roll out a new “Essentials of Compelling Email” course and you’ll get the first announcement. We’ve also got more training webinars we are working on not yet on the calendar be sure to keep an eye on these emails. If you are running any sort of paid list acquisition or list engagement you need a system of cohort tracking and reporting. Beyond thinking about just your email “list,” what you really have is a series of cohorts or groups within your lists and they likely have shared behaviors. This training is about digging into the nuts and bolts of tracking and strategy. Key takeaway: Strategic knowledge and templates to develop your own cohort tracking. VoiceVoice enables leading, solutions-driven advocacy organizations to engage their community in meaningful conversations at massive scale. A platform for purposeful conversations with unparalleled depth and scale. Progressive organizations come to us because it’s very difficult to engage large numbers of geographically distributed people, with an experience that feels truly engaging. 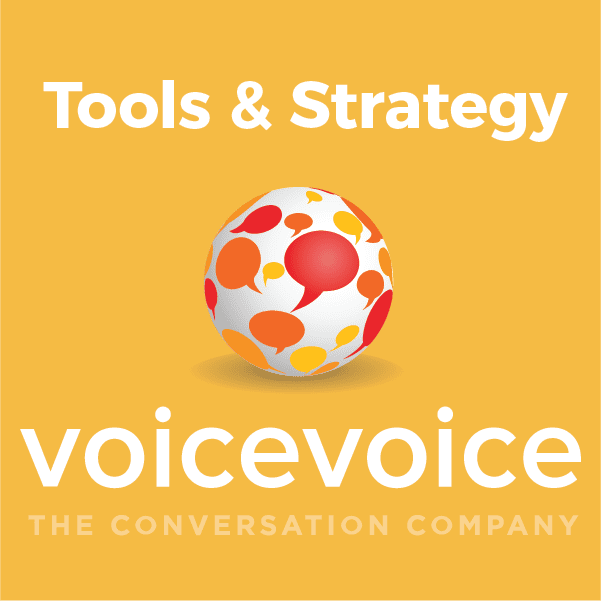 Key takeaway: An understanding of VoiceVoice and how it can strategically fit into your set of strategic tools.